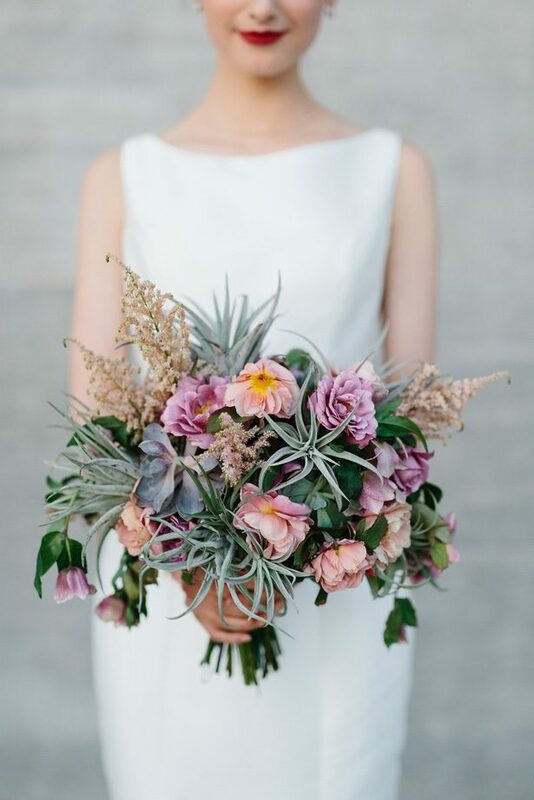 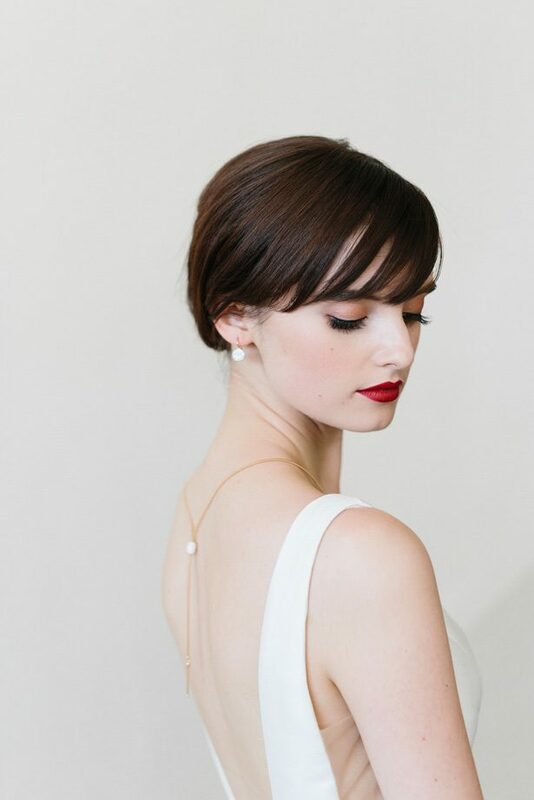 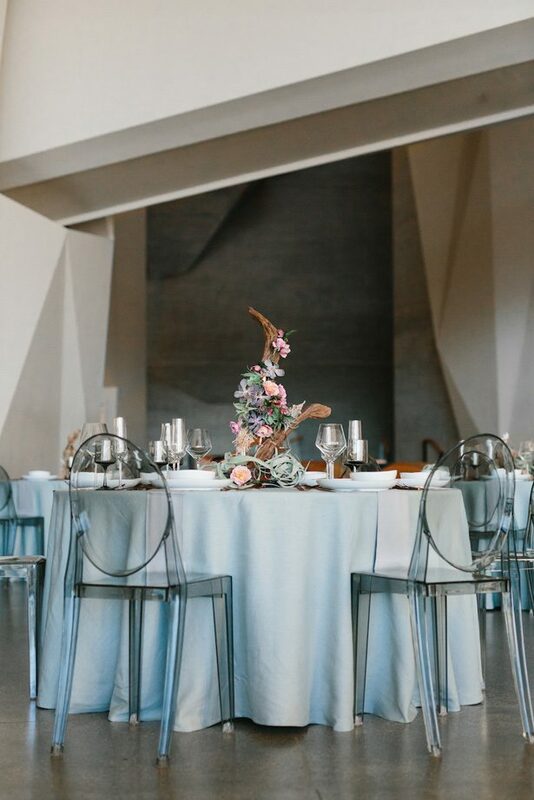 This Boho Meets Contemporary Wedding styled shoot has so much inspiration for the minimalist, modern bride. 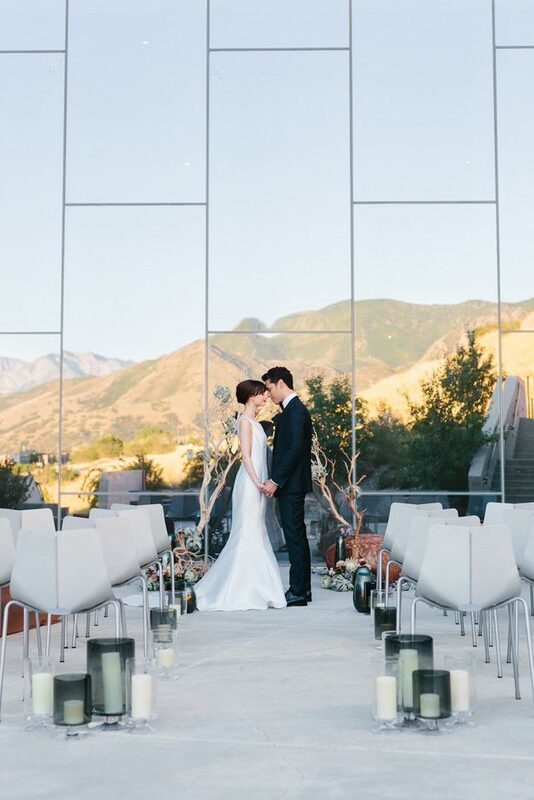 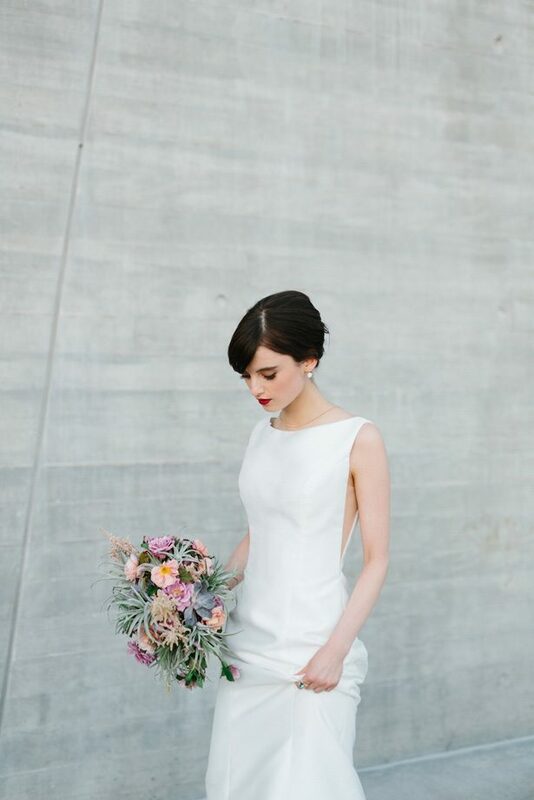 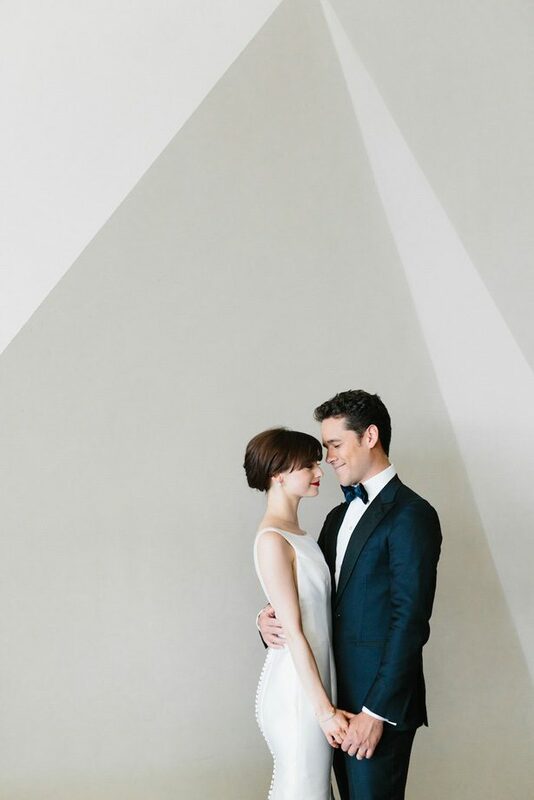 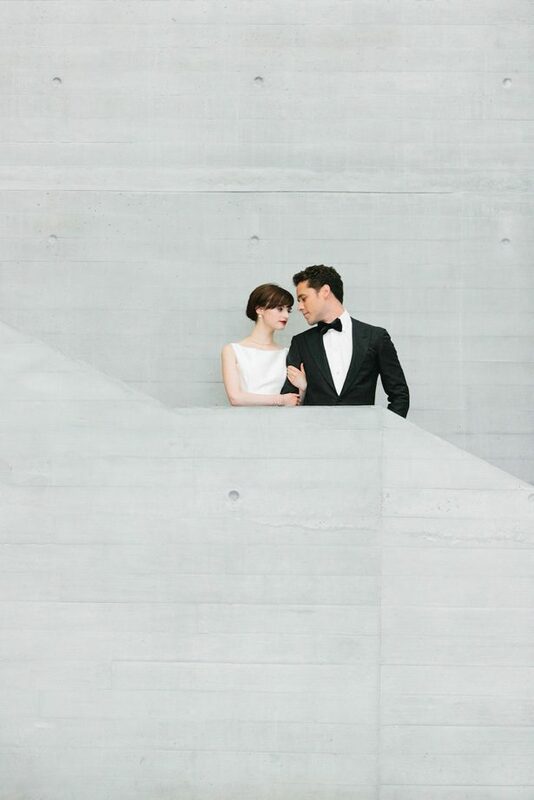 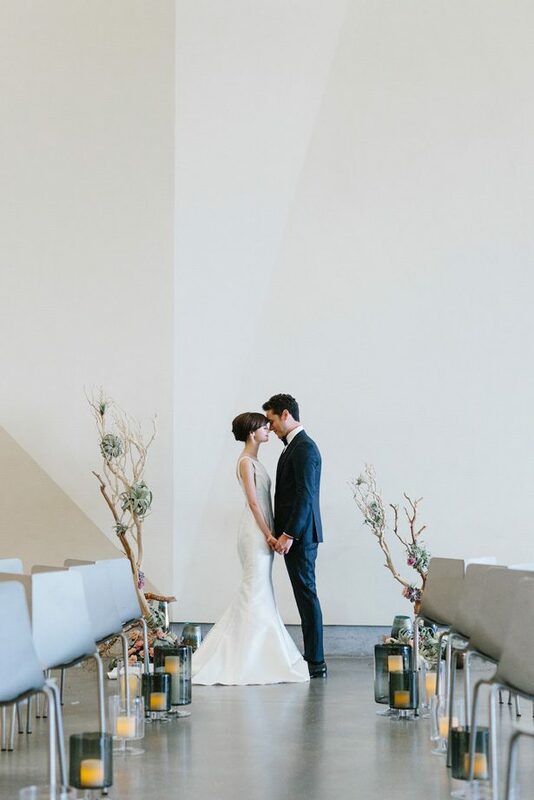 Taken at The Museum Of Natural History Of Utah, its muted color palette and clean lines scream modern romance. 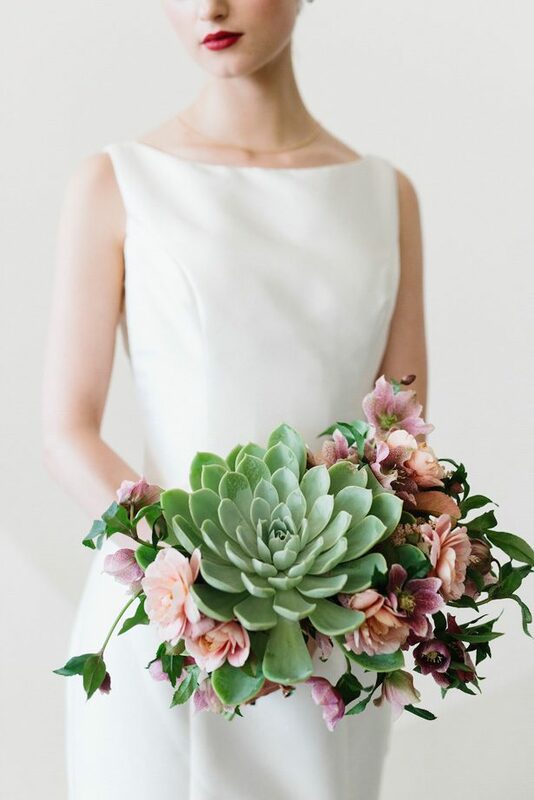 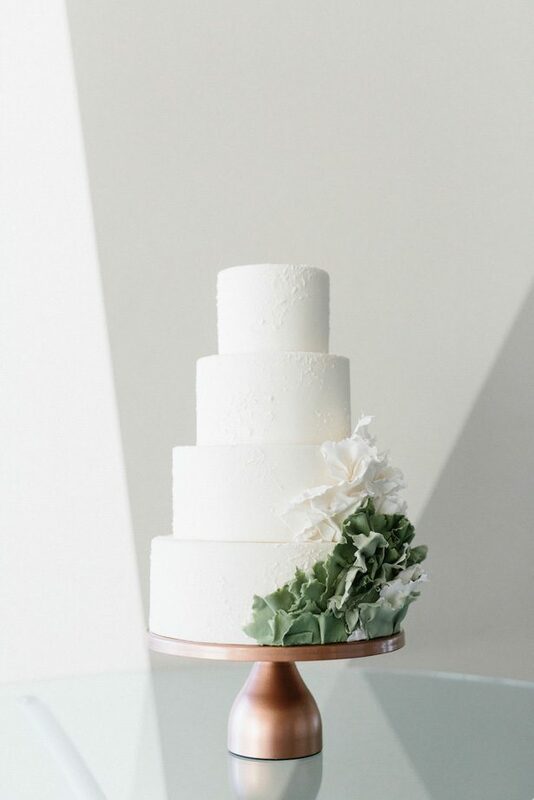 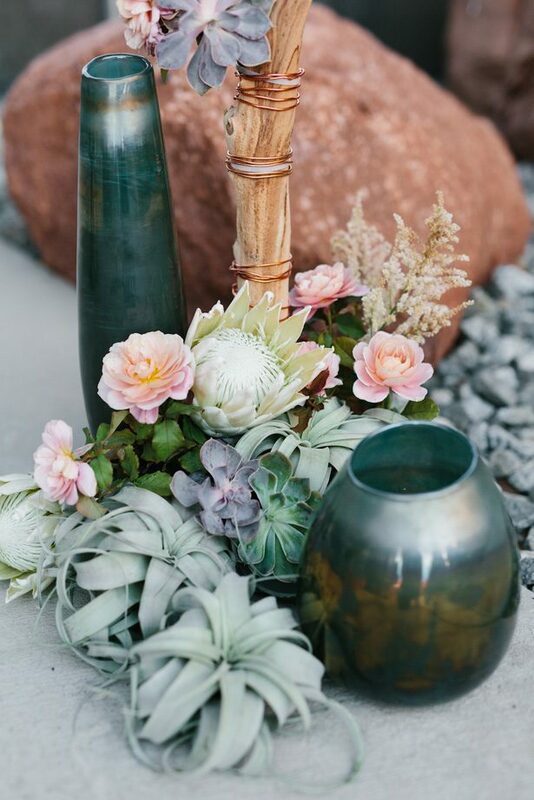 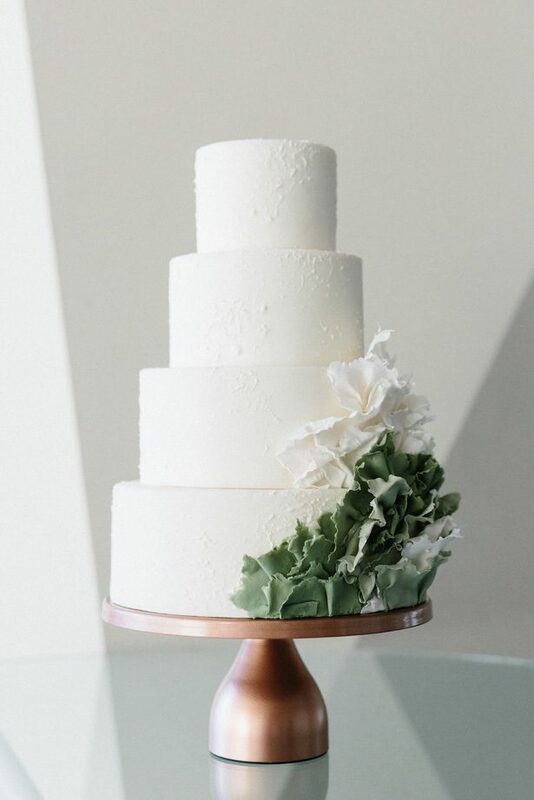 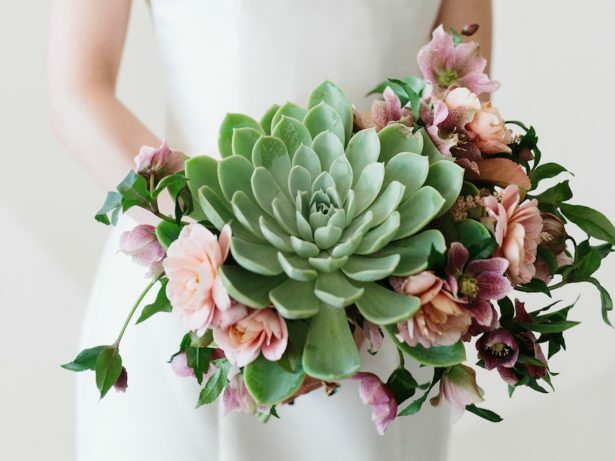 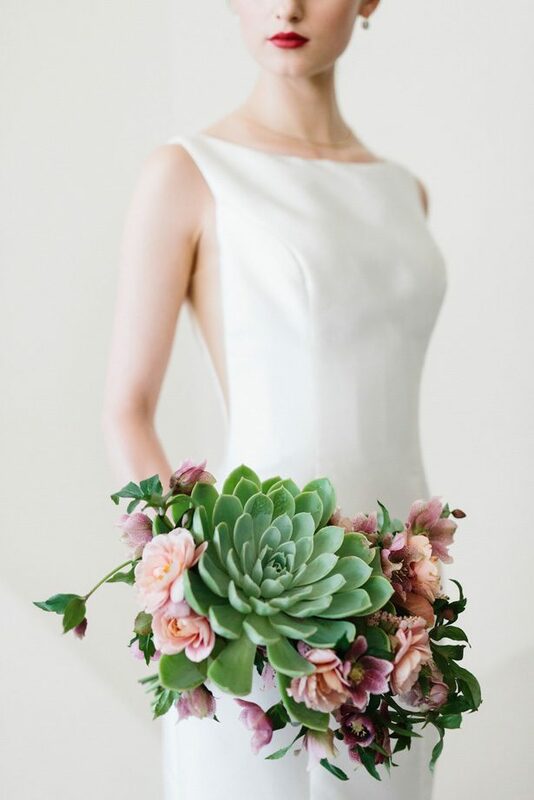 The florals cleverly used the on-trend succulent in interesting ways — and the green from the bouquet was seamlessly tied into not only the gem tones of the ring but also into a splash of detail work on the gorgeous and understated cake. 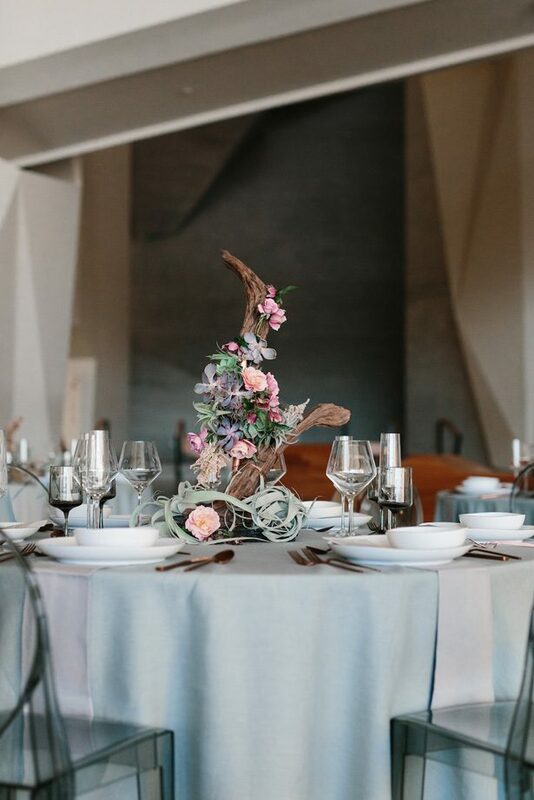 The whites and pinks of the wedding designed by Vivince Event Studio have a fresh feel that gives a sense of romance to the occasion. 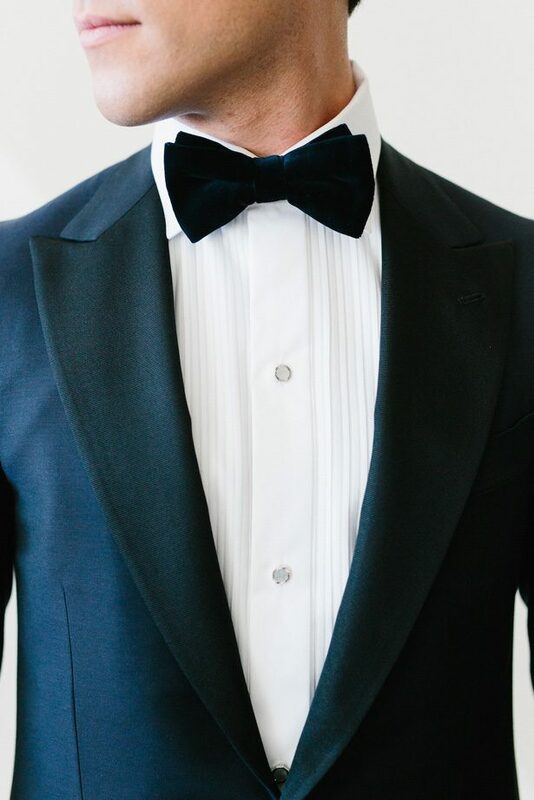 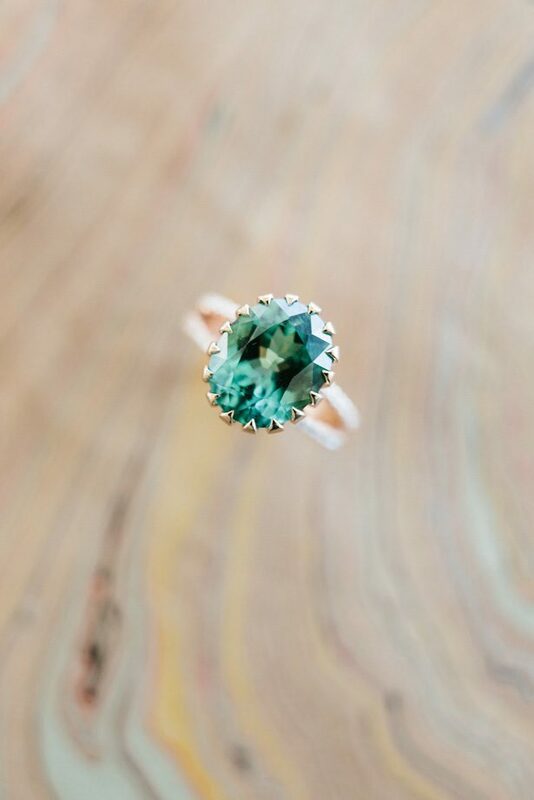 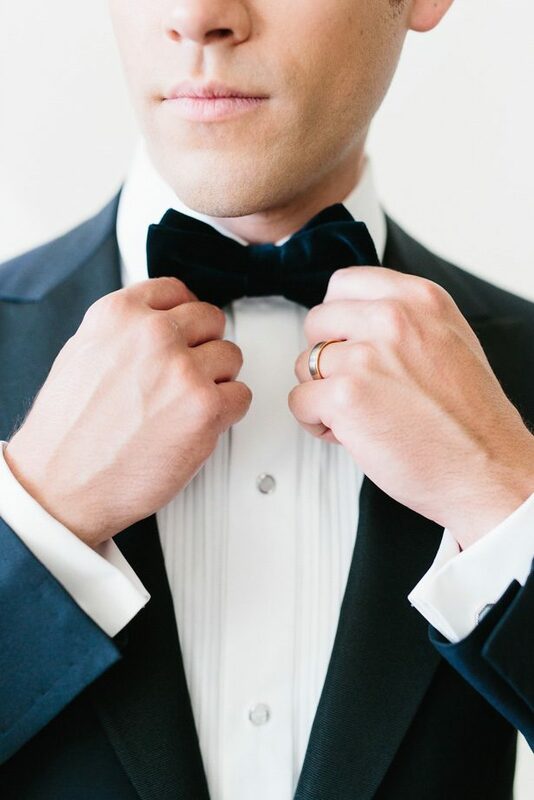 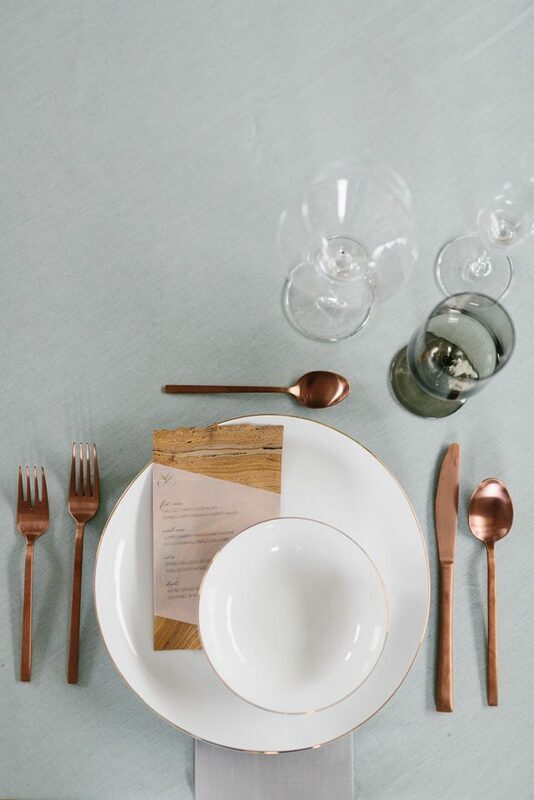 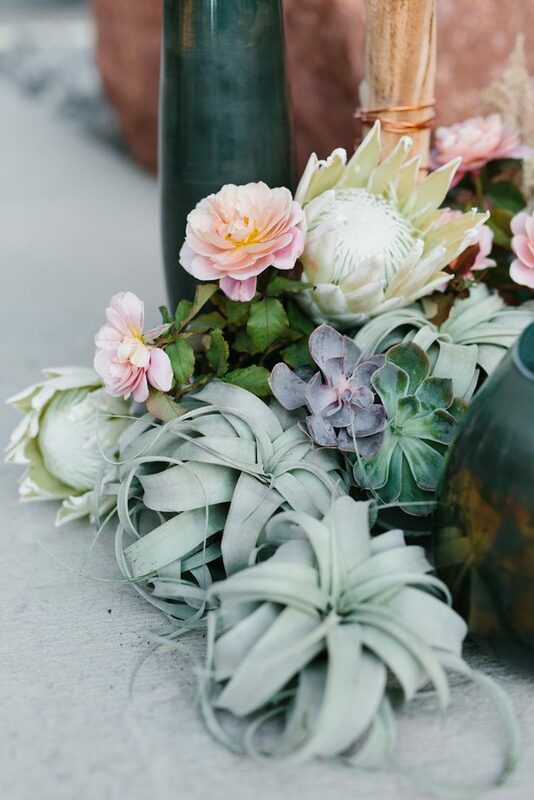 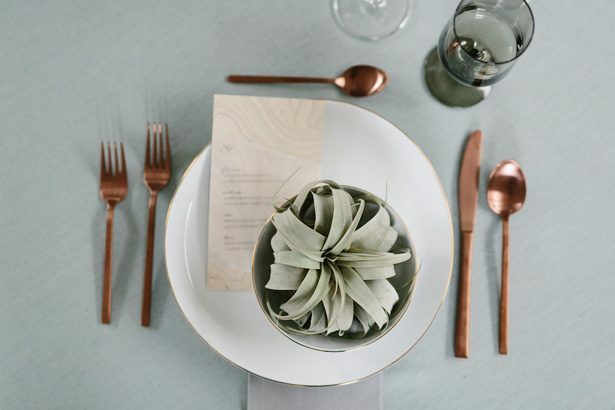 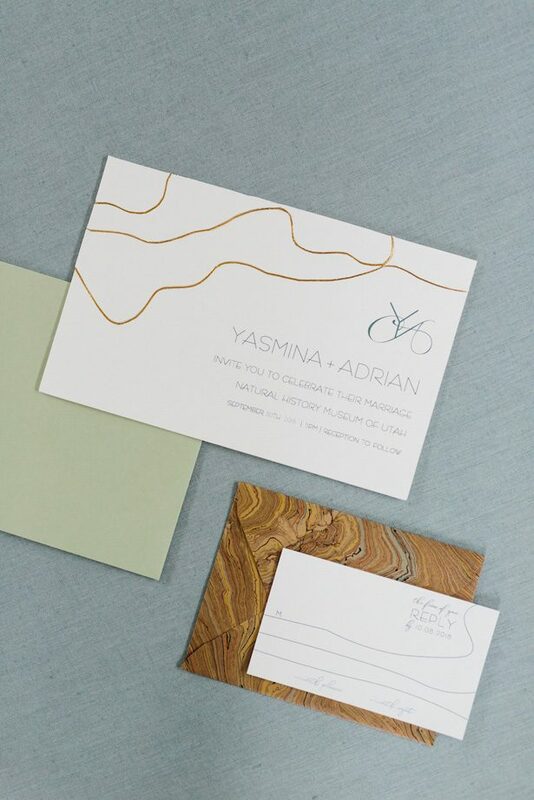 Check out the FULL GALLERY from Kate Osborne for modern wedding ideas that really think outside the box!